Damien Chavelle | We Can't Hear the Mime! Damien Chavelle’s film boils down to one primary question: what does it take to achieve greatness? Doubtless there’s a price, as even the title suggests. Anyone moving too fast risks injury. We’ve seen a good number of these masochistic high achiever narratives in recent years but unlike Black Swan and The Social Network, for example, Whiplash steers away from the question of whether greatness is worth the price. This is more taken as evident by the two main characters and so imbues the film with a very different energy. 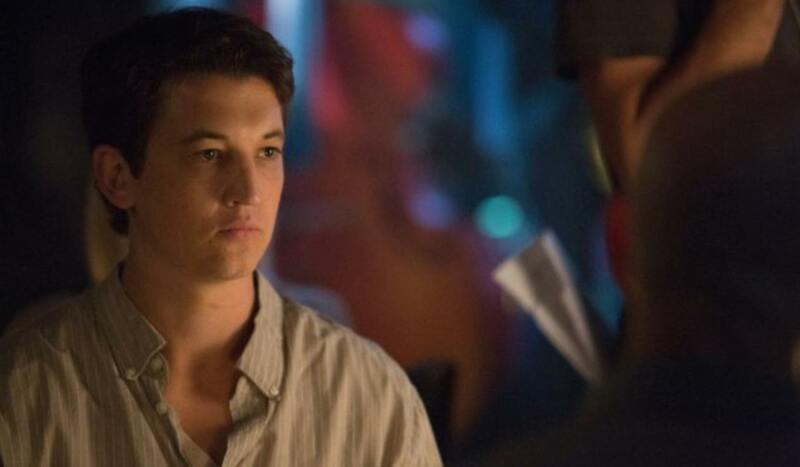 Whiplash is a character study of 19 year old drummer Andrew Reiman (Miles Teller). In his time at the (fictional) Schaffer Conservatory he becomes the protégé of the despotic conductor Fletcher played by J.K. Simmons. Much has been made of Simmons’ performance, which is by all counts extraordinary, his ability to switch between nurturing and terrifying while remaining a coherent and relatable human is astounding. Yet I don’t want to repeat what has been already thoroughly and more aptly lauded. Sadly much of the praise for Simmons seems to downplay Teller’s performance as Reiman, accusing him of being flat, or worse, a “blank slate”. Quite on the contrary, Teller’s performance is subtle and reels in the viewer. In the same way as the opening shot shows us Reiman from afar and the closing shot zooms in on his face we totally enter this character’s universe through the film. It’s reminiscent of Dustin Hoffman’s performance in The Graduate, making someone shy, difficult and clearly flawed into the hero we all stand behind. In many ways Whiplash is a purification of the determined genius theme. The small side-plot where Reiman throws away a chance at a relationship is just that, a side-plot: whereas this served as Zuckerberg’s sole character motivation in Fincher’s Social Network. The only obstacle Reiman faces is his own limits and resolve. His power resides in being as self-sacrificing as possible, even seeking comfort in the arms of his father is seen as a lack of motivation and hence a weakness. His bleeding fingers from too much practice are treated as necessary battle scars and a kind of symbolic ascension to the mythical higher plane of “greatness”. Perhaps it’s a sign of residual unacceptance that these same actions, the frantic pursuit of perfection in art through self-destruction, are seen as a tragedy and framed as a slow descent into madness in Black Swan when it’s performed by a woman. Either way Fletcher’s role in the narrative falls in harmony with his role as conductor, in the long run both invisible and instrumental in teasing the potential out of this drummer. Fletcher becomes the despotic father figure finally pulling Reiman out of the nest to fly. The script is what really shines here; it could almost be a play. It would probably be a very good play. This is not to say that it lacks cinematic elements, more that it goes a little overboard on occasion. Sitting in a cinema with eighty percent of the screen blurred in a soft-focus close up is never a rewarding experience and many scenes are filled with this kind of close-up, quick-cutting that starts to feel like time-filler after a while. The jazz scenes vary between genius and irritating. A choppy cut on every new instrument is not a new or edgy way to film music and it gets to seem a little like a cheap music video from time to time. However the film is so engaging and well structured that you can forgive. The final scene is triumphant, finishing on a drum solo it seems to perfect sum up the film, its main character and its proposed philosophy all at once. It’s not perfect, it may even be self-indulgent, but it’s daring and engaging and demands your attention and forgiveness for its faults because it may just be the closest thing to genius you get to see. This entry was posted in Film Reviews, Gold Screen, Personal Screen and tagged 2014, Black Swan, Damien Chavelle, Darren Aronofsky, David Fincher, Film Review, J.K. Simmons, Miles Teller, The Social Network, Whiplash on April 1, 2015 by Flo.